Red Fox ProfileCross Stitch Pattern to print online. 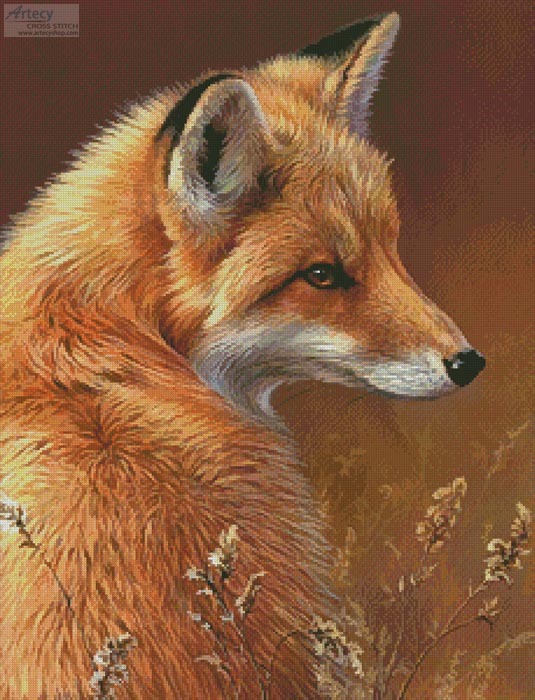 This counted cross stitch pattern of a Red Fox was designed from the beautiful artwork of Joni Johnson Godsy. Original image copyright of Joni Johnson Godsy and Cypress Fine Art Licensing www.cypressfineart.com.